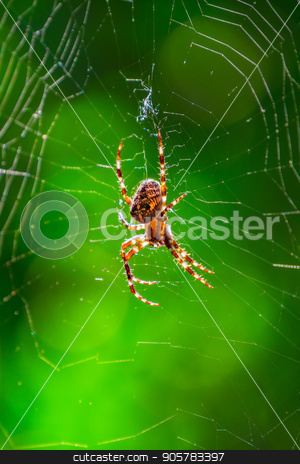 Spider on spider web with green background. Closeup of a brown spider isolated on green background. Spider close-up on a green background.